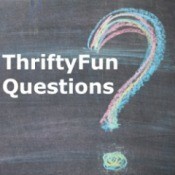 The everyday experts in the ThriftyFun community share their favorite copycat recipes for convenience mixes. Tastefully Simple Toffee Coffee Drink MixAnyone have a copy-cat recipe for Tastefully Simple's toffee coffee drink mix? They no longer make it. Recipe for Hamburger Shake and BakeYears ago I bought it and you made small round meatballs, shook in the bag with coating and baked on cookie sheet for maybe 15 or 20 min. That is the recipe I am searching for. Recipe of BBQ Pork Shake 'n Bake CoatingI am looking for a copycat recipe for Shake 'n Bake BBQ pork coating mix. Copycat Recipe for McCormick's Beef MarinadeDoes anyone have a copycat recipe for McCormick's Beef Marinade? 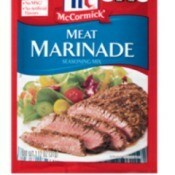 Copycat Recipe for McCormick's Meat Marinade MixDoes anyone have a recipe for McCormick's Meat Marinade? It was a packet mix they sold, but recently discontinued.